Last week, it was Forbes; this week, it was Bloomberg. 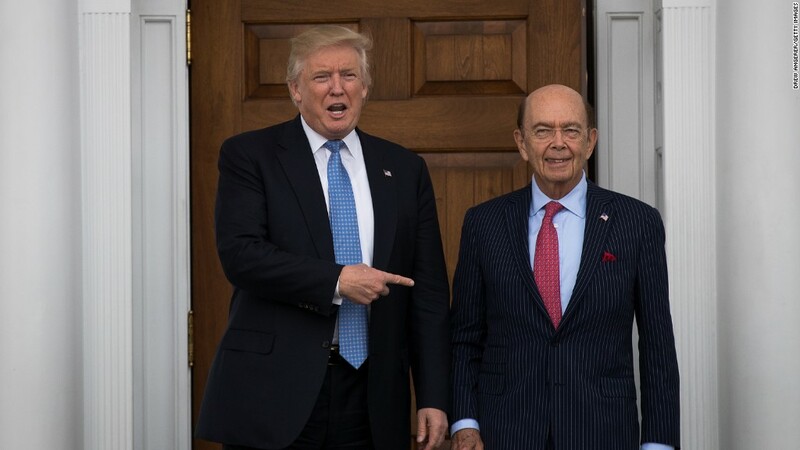 But the conclusion from both was the same: Commerce Secretary Wilbur Ross is not a billionaire. In a story published Wednesday afternoon, Bloomberg revealed that it, too, had lowered its net worth calculation for Ross, who is also facing congressional scrutiny over his finances. According to the Bloomberg Billionaires Index, Ross' net worth is now at $860 million, down from $3 billion, "after determining that figures he provided couldn't be independently verified." The change comes a week after a bombshell story from Forbes accusing Ross of embellishing his worth by billions. The story also exposed cracks in the magazine's much-ballyhooed "Forbes 400" list of the wealthiest people in the country, which Ross was purportedly able to lie his way onto. A Commerce Department spokesperson declined to comment. Senate Democrats called for the Commerce Department's internal watchdog to launch an investigation to determine whether Ross was forthcoming during his confirmation process earlier this year. The calls followed a series of reports that stemmed from the Paradise Papers, a trove of leaked documents that exposed how the rich avoided taxes by setting up offshore companies. Journalists found information that linked one of Ross' shipping assets to a company with ties to the Russian government. Forbes accused Ross of inflating his net worth shortly after the Paradise Papers were released. Bloomberg initially kept Ross listed as a billionaire, until Wednesday, when a story by reporter Brendan Coffey revealed that the financial news powerhouse's previous calculation "included historical compensation figures submitted by Ross in an on-the-record email exchange in 2016, before he joined President Donald Trump's cabinet." "Those figures have now been removed," Coffey wrote. --CNN's Cristina Alesci contributed reporting.